On 22 May, the first separate event of "Infinitus 2010 World Walking Day (China)" took place at Qingdao Olympic Sailing Center. More than 5000 people attended, including Mr. Wang Xiulin, Deputy Mayor of Qingdao, Mr. Li Ming, Assistant Secretary of Qingdao, Mr. Peng Yi'nian, Director General of Qingdao Municipal Bureau of Sport, Mr. Li Shuguang, Deputy Director of Qingdao Municipal Bureau of Sport, Mr. Harry Yeung, Senior Vice President of LKK Health Products Group, Asian Games champion Ms. Huang Xiaoxiao, participants from Qingdao municipal organizations, embassy, enterprises, the overseas students, civilians and Infinitus business partners. They walked together and promoted the theme of the event, "Enjoy Walking, Enjoy Fitness". 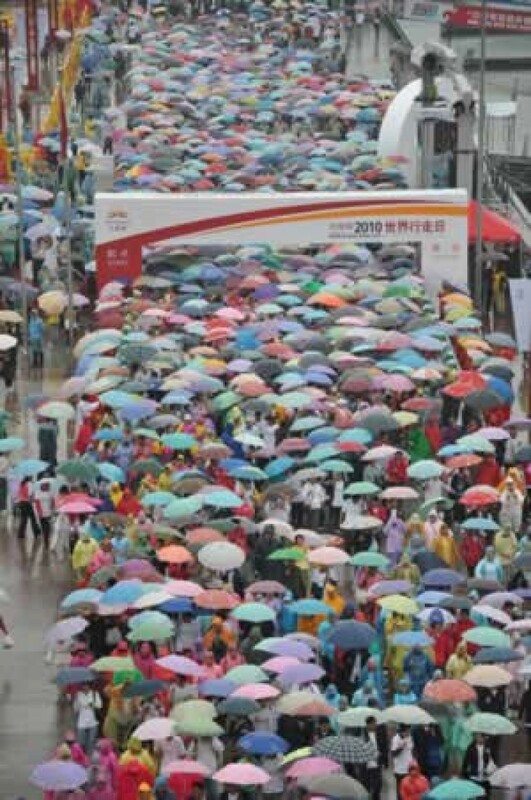 In spite of the rain that day, the participants were very active and the walking path was strewn with umbrellas. Mr. Harry Yeung and Mr. Li Shuguang took the lead and finished all the 7.5 kilometers. Many local major media covered the event, including QTV, SDTV, Peninsula City News, and Qilu Evening News. The barefoot-walking and the couple group attracted the most attention. 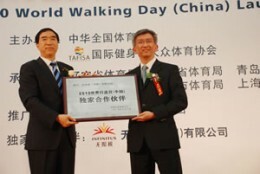 With the success in Qingdao, "Infinitus 2010 World Walking Day (China)" gets off to a good start. And the following separate events in Shenyang, scheduled for 6 June, are expected to be smoother with the experience gained in Qingdao. 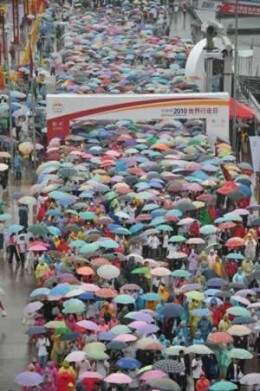 The walking event in Qingdao, which was joined by many people, shows that walking has earned the reputation as a simple and healthy exercise.